As soon as the restaurant lineup for Dine Out Vancouver was released, I scoured the website to see if there were any new sushi restaurants I could try. Disappointingly, there were none. Since I have a tendency to dislike foods that are not typically consumed using chopsticks, I chose to stick with sushi. Lara was my dining companion that day, and having heard that she had never been to either Miku or Minami, we decided to head over to Minami for dinner (Miku was not participating in Dine Out). 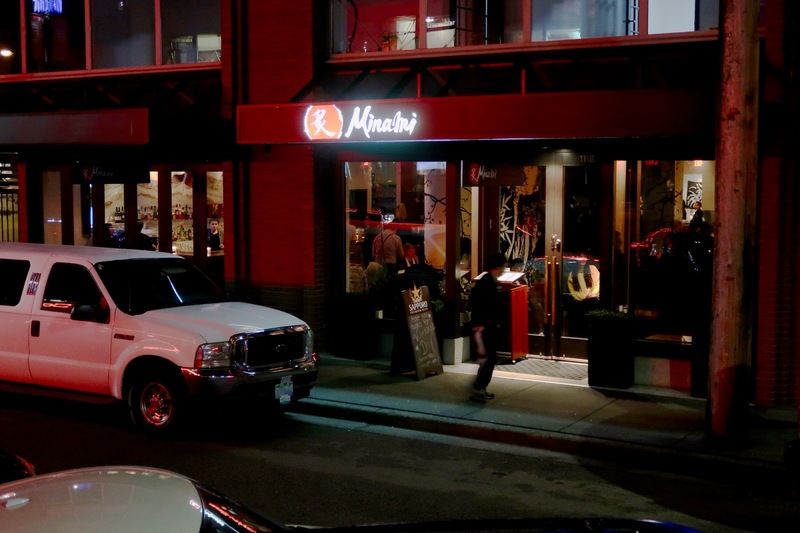 Located on the tiny street of very posh and wallet-unfriendly restaurants in the middle of Yaletown, Minami is one of the five restaurants on the street that serve Japanese fusion (the others being Kibo, Kuma, Sushi Maro, and Bistro Sakana). Even though we went on a Tuesday, the restaurant was predictably busy. Nonetheless, the service remained efficient, and the timing of our food was on point. 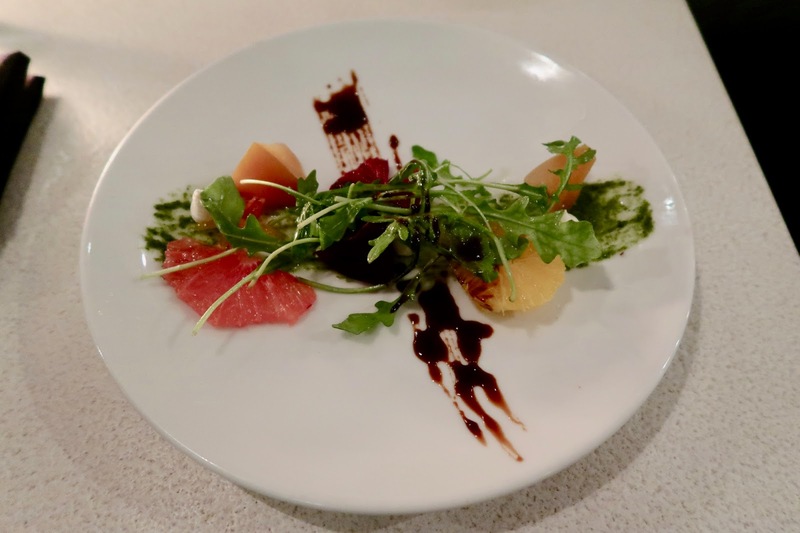 First on our table was the Market Beets and Citrus, which came with grapefruit, Okanagan goat cheese mousse, wild baby arugula, basil pesto, yuzu marmalade, and soy balsamic reduction. We found the grapefruit soft and delectable, and it went well with the pesto sauce. The beets also had a pleasantly soft chew, with a texture akin to very juicy carrots. Next up was a plate featuring some of Minami's signature sushi offerings, with two pieces of Aburi Salmon Oshi Sushi, arguably their most notorious item. Each piece of sushi was garnished with carefully chosen ingredients, and the texture of the sushi rice was essentially perfect. 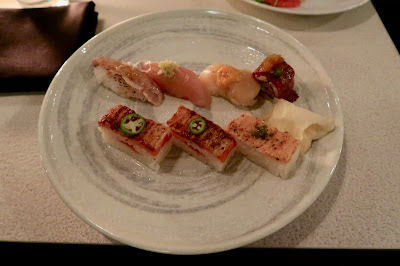 The highlight here was the Hokkaido Scallop Nigiri, where the creaminess and sweetness of the scallop was beyond that of any scallop nigiri I have ever had. The Aburi Salmon Oshi Sushi and Aburi Ebi Oshi Sushi felt slightly drier than usual, but were otherwise carefully prepared. For my entrée, I had the Surf, which came with the Coconut Poached Half Lobster Tail and the Miso Sakekasu Baked Sablefish. The lobster tail came with tender meat and a sweet, buttery sauce that complemented the sweetness of the lobster meat. However, it was quite difficult to get the meat out of the shell. While I luckily managed to slide the meat out of my lobster tail in one piece, Lara had to laboriously scoop the meat out of the shell bit by bit. The Miso Sakekasu Baked Sablefish was executed to near perfection, with crispy skin and a melt-in-your-mouth burst of savoury flavours. 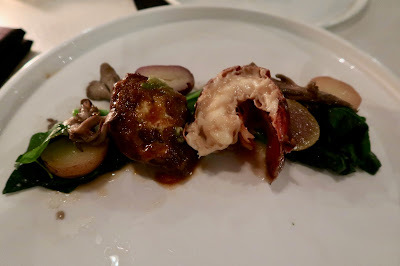 Lara had the Surf & Turf for her entrée, which came with an Obie Braiser (braised Alberta beef) and the same Coconut Poached Half Lobster Tail above. The wasabi sauce applied on the beef gave it a strong spicy kick. The beef was slightly tougher on the outside, but very soft and succulent on the inside. 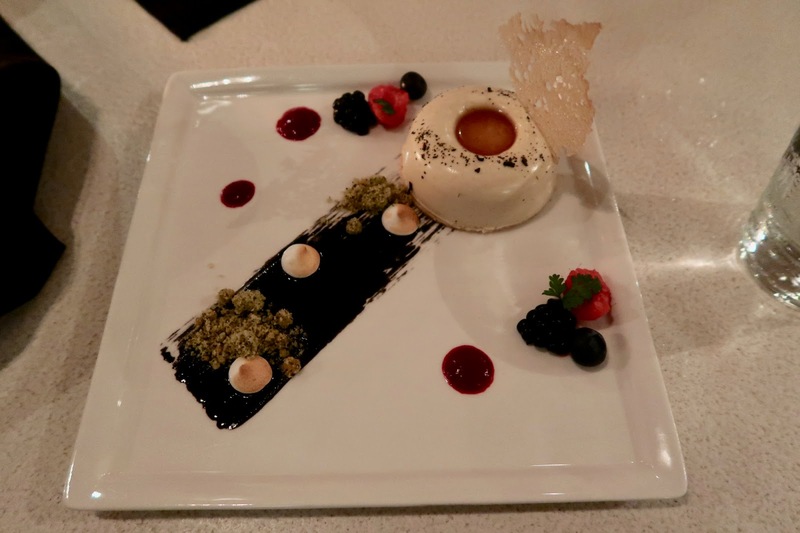 The service was professional throughout our stay, and the food was unsurprisingly well-executed. 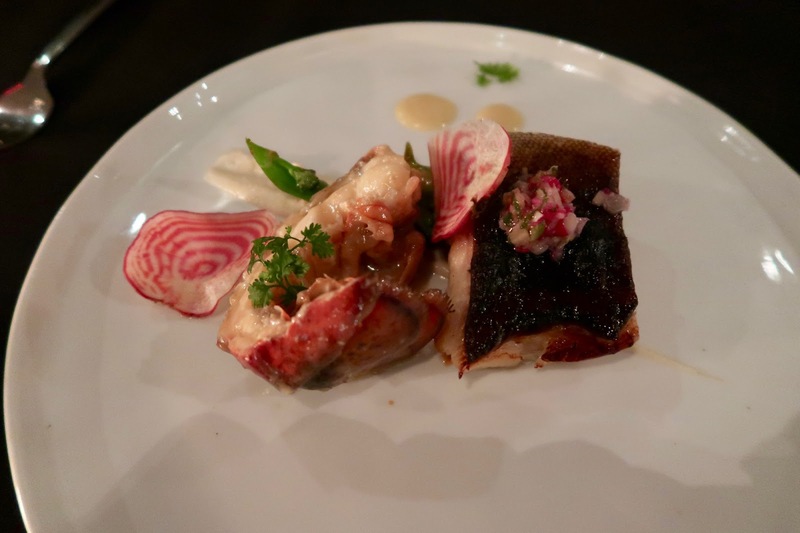 Despite the slight hiccup on the Aburi Salmon Oshi Sushi, their signature dish, the mastery displayed in some of the other dishes made up for it. The innovation and the excellent attention to detail made this an enjoyable dinner for both of us.